Home > Knowledge Center > How Long Do Pavers Last? 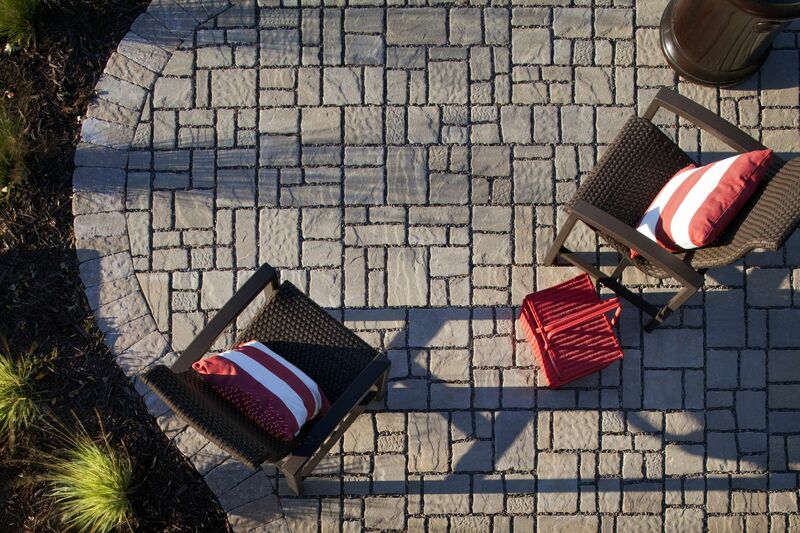 Pavers are a top choice for driveways, patios, walkways and other hardscapes. This is largely due to their visual appeal and how well they complement a wide variety of architectural styles. Other attractive features include their slip resistance, skid resistance, low maintenance requirements and potential for increasing property value. Paving stones can be more of an investment than some paving options, such as asphalt or slab concrete, and are generally about the same upfront cost as other options, such as stamped concrete. Because they are a higher-end option, many customers are rightfully concerned about their longevity when considering investing in this home improvement project. The most important part of understanding how long different paving materials will last is that you need to look at the longevity and integrity of the overall installation. For example, concrete is a durable, long-lasting material; however, when poured in slabs it has a large surface area that will crack over time. It can also become uneven from a variety of factors, such as tree roots or settling. When these cracks or uneven surfaces occur, the installation loses its visual appeal and no longer looks or functions as it did at installation. Even with repairs or replacing entire slabs, a concrete patio or driveway may regain its function but, unfortunately, it will not regain its original look. This is one of the reasons why concrete manufacturers and installers cannot offer lifetime guarantees for their products. A paving stone installation, on the other hand, actually gets stronger with settling and individual pavers can be replaced, if needed, without taking away from the function or look of the patio, driveway or walkway. Therefore, the longevity and integrity of the overall installation is significantly higher than that of other paving materials. 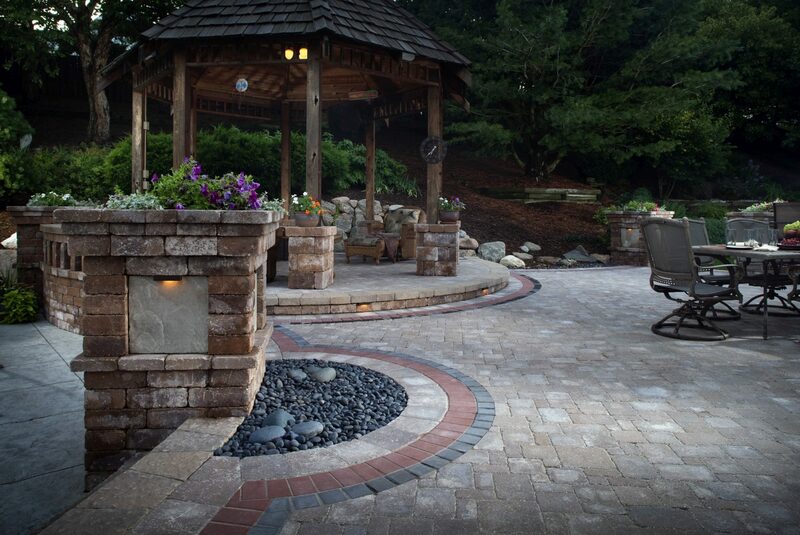 Concrete pavers are crafted to last a lifetime. Even if a single paving stone (or group of stones) cracks or chips, it can simply be replaced, which means the overall installation could last for future generations of your family to enjoy. It is possible that the ground could shift, settle or change enough over decades of time that even a properly installed patio or driveway may become uneven. But if this occurs, the pavers can simply be removed, the ground leveled, and the pavers put back in place. Plus, paving stone manufacturers offer a lifetime guarantee for their products. This means that if you should ever have issues with cracked or chipped pavers, you can simply have them replaced and continue to enjoy your hardscape features for decades to come. Do Pavers Last Longer Than Concrete? Paving stone installations last longer than both slab concrete and stamped concrete. 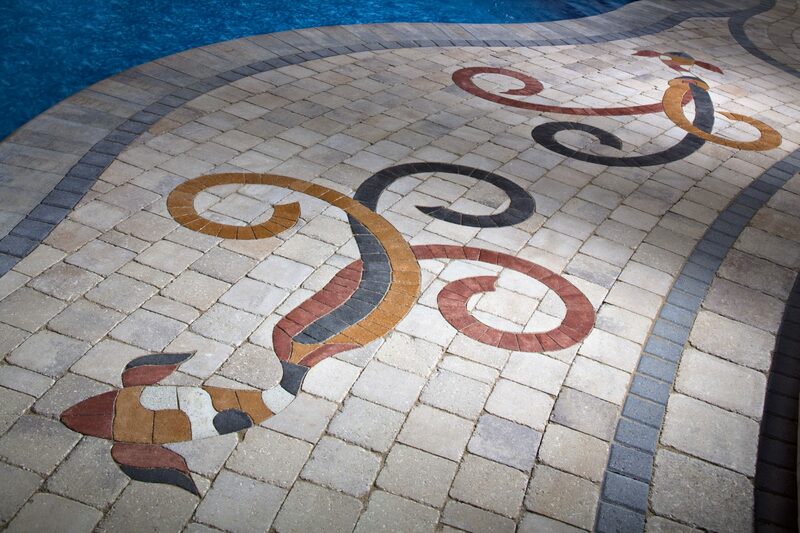 There are a few reasons for this, the most important of which is that pavers are simply stronger and more durable. Poured concrete, whether plain or stamped, requires an extended curing period and, during this time, the strength of the concrete can be affected by many factors. Plus, because it is poured in slabs with larger surface areas, it is going to crack over time. Tree roots, traffic, and the inevitable contraction and expansion as the weather changes all cause concrete slabs to develop cracks. And, of course, this does not even take into consideration earthquakes that are prone to make the ground shift, particularly in California. On the other hand, paving stones each make up just a small part of the overall surface and have joints between each paver that allow your driveway or other surface to better endure shifting ground, weather-related expansions and contractions, and other forces that are an issue for poured concrete. 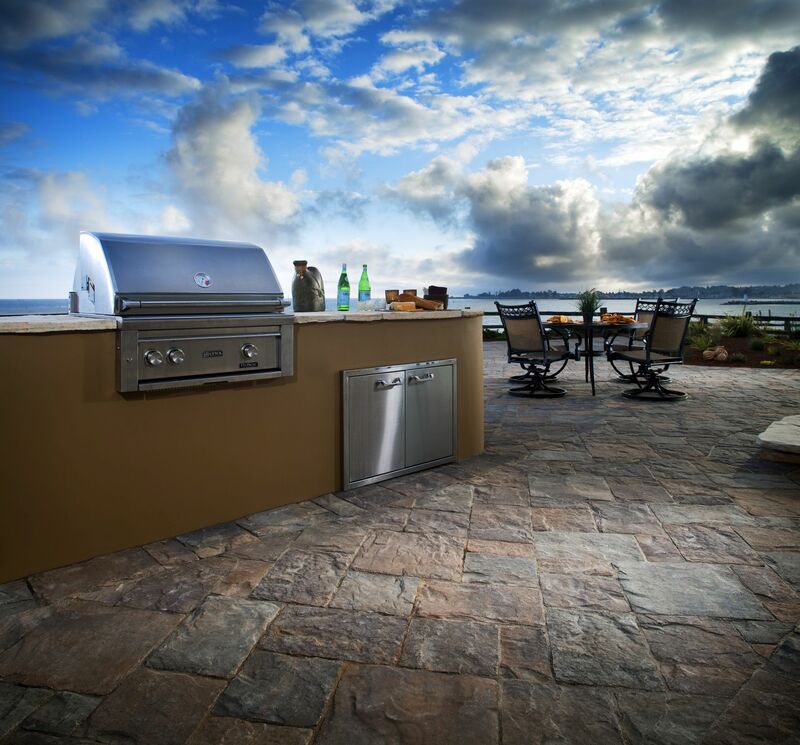 Pavers, themselves, are also more durable because, while slabs of concrete must cure while they are exposed to unpredictable weather and other factors, paving stones are crafted under extreme pressure in a controlled environment to ensure strength and durability. Another important factor that allows paving stone driveways, walkways, patios and other installations to last much longer than concrete is ease of repair. If paving stones crack or are damaged, the interlocking design allows us to remove one or more broken stones and put your surface back together without the loss of function or visual appeal. Additionally, if an earthquake or some other force shifts the ground enough to crack concrete and cause an uneven surface, it is likely that you will have to remove the entire slab and re-pour concrete in that area. Unfortunately, when you repair cracks or re-pour slabs to repair damage or smooth a surface, it will be obvious that repairs have been made. If a force occurs that is strong enough to create an uneven surface in a paving stone driveway or patio, the stones can simply be removed to allow the surface to be leveled, and then placed back into position. What Can Shorten the Lifespan of a Paving Stone Patio, Walkway or Driveway? While individual pavers may become damaged or the surface of your patio or driveway may become uneven and need to be leveled, the overall installation can be expected to last for decades. Even if a significant earthquake completely dismantles your patio, the individual pavers can still be re-set once you have repaired the ground beneath the installation. You may just need to replace a few paving stones that crack or become damaged in the earthquake. It is possible that you could get a lower-quality product that perhaps would not be as strong and durable; however, if you are working with a professional paving stone installation company, you can expect that your pavers are going to be good quality. One thing that can potentially weaken your paving stones and increase the instance of cracking is repeated exposure to some chemicals, such as chemicals used to melt ice. Ice, of course, is not an issue for most people living in Southern California, but there are some inland and mountain areas where homeowners may use chemical de-icers. In these areas, homeowners with paving stone walkways or driveways should avoid chemical de-icers to help maximize the durability of their pavers. For the most part, the only thing that really has the potential to shorten the lifespan of your paving stone surfaces is poor installation, which can lead to issues like shifting.